They had a choice between red, blue and green pencil. There is ambiguity about the colour of pencils. Do they have a choice between red pencil and blue-green pencil or do they have a choice between red pencil, green pencil, and blue pencil? A comma before and removes the ambiguity: They had a choice between red, green, and blue pencil. In the above sentence, there is ambiguity about the writer’s parentage. Does the writer claims that ‘Ayn Rand’ and God are her parents? A comma before and removes the ambiguity: To my parents, Ayn Rand, and God. It appears at the end of a list of three or more items. It removes ambiguity in the sentence. What is the connection between the Oxford, Harvard, and the Serial comma? A rumour suggests that the serial comma was traditionally used by printers, readers, and editors at Oxford and Harvard University Press and so it got connected with these two Universities. Oxford University says NO to the Oxford comma! Oxford University style guide advises writers, “As a general rule, do not use the serial/Oxford comma: so write ‘a, b and c’ not ‘a, b, and c’.” However, it does suggest using the Oxford comma if it would assist in the meaning of the sentence or helps to resolve ambiguity. In favour: The Chicago Manual of Style, Strunk and White’s Elements of Style, most authorities on American English and Canadian English, and some authorities on British English (for example, Oxford University Press and Fowler’s Modern English Usage) recommend the use of the Oxford comma. Against: Newspaper style guides (such as those published by The New York Times, The Los Angeles Times, the Associated Press, The Times newspaper in the United Kingdom, and the Canadian Press) recommend against it, possibly for economy of space. Still finding it difficult to understand the Oxford comma? This cartoon from mumblrmumblrmumblr blog explains it quite nicely. Though JFK and Stalin may not entirely agree. Will you? I was taught in school not to use the Oxford comma but I often use it to remove ambiguity in the sentence. Where do you stand on the Oxford comma? Leave a comment and let me know. Oxford comma anywhere and everywhere I can! The so-called Oxford comma must be used to eliminate confusion about elements in a series grouped together, as pointed out in this article; otherwise, it can be left out. For example, why have the comma before and in this sentence: There were three colors to choose from — red, white and blue. I agree with both Spenser and Ron. And I, too, was taught to avoid the Oxford comma, but I find doing so only leads to problems (sometimes zany, other times not). I definitely favor the Oxford comma. Thanks for your comments, Ron and Pete. I use it all the time, even in chats! 🙂 Like everyone, I never got to use the Oxford comma in school days, but now that I’m free to use it, I love to use it. Thanks for reading my article, Divya. I often use the serial comma and sometimes discard it. For me, correct interpretation is more important than word count so I do end up using it most of the time. Hurray for the Oxford comma! It reduces confusion. I vote for serial comma. Bottom line is that omission of the comma before the conjunction can indicate the final two items as an appositive phrase. Thinking of the article examples: “To my parents, Ayn Rand and God” and “the strippers, jfk and stalin” (nicely illustrated). First class degree in linguistics 18 years ago (shriek) and I never use the Oxford comma. I remember getting told off in front of the class aged 7 for putting a comma next to ‘and’ in an exercise we did (I was too busy trying to finish the exercise before everyone else) so consider myself damaged by the incident! Now reading stories to my toddler I see it everywhere in every children’s book so have been questioning my memory of this area and ranting to my husband about it. Good to read the article!!! In school I was taught that the serial comma was optional, but our standard at the advertizing/technical writing company I worked for was to use it all the time. I still use it all the time. That strippers example made me laugh. Love it! I view the serial comma discussion as a small part of the lengthy evolution to reduce punctuation (and minimize the use of characters overall) in many Western languages. This trend toward minimal language has marched along for some time, and has accelerated or decelerated at different periods. An easy example in English is the recent evolution of Electronic Mail, to E-mail (complete with hyphen! ), to finally(?) email. 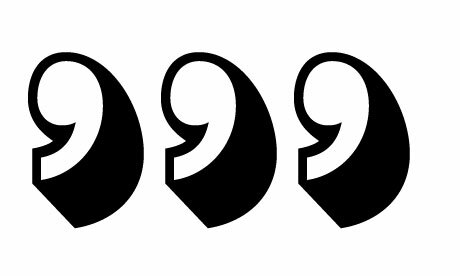 Read a few Victorian-era novels, for example, and you’ll find that nearly every pause for breath is marked with a comma, as if the narrator were reading aloud. The serial comma is but a faint echo of that writing pace, which seems intolerably slow to us modern-day folk. Victorian novels also sport more uppercase letters, hyphens and em dashes, and even additional letters at times (e.g., “musick” and “tragick”) which have been dropped. The internet has increased this deconstruction somewhat; as typing speed increases there is even less time to punctuate or space (as in tweets) to do so. Punctuation becomes excess baggage. Note I have tried to cram lots of commas and punctuation into this post and by internet standards it likely seems weighty. There is simply no rational reason to not use it. First off, one should not have to read forward in order to be able to understand what meaning of a previous word or phrase. E.g. Bring out the receipts for John, Bill, Rick and Jane, Beverly, and Bobby and Jill. Secondly, more often than not, by not adding a serial comma, you create an appositive, positively.